Sheikh Jamal-ud-Din Ahmad was a direct descendant of Imam Abu Hanifa, the renowned Persian jurist of Islam. He was born at Ghazni, (Khorasan) which is in Modern-day Afghanistan, in 583 A.H. He was five years old when his family came to Hansi. He became a disciple of Hadrat Baba Fariduddin Ganjshakar of Pakpattan at the age of 50. He learnt deeply and served devotedly. 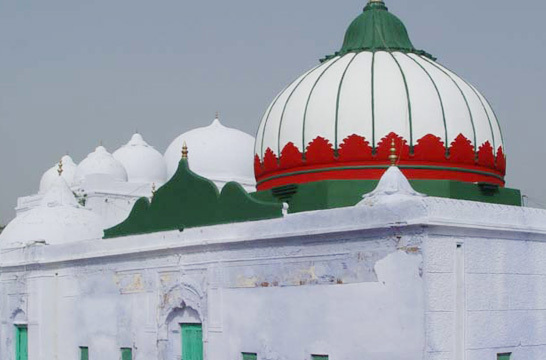 Before becoming a Sufi, Shaikh Jamalu’d-Din had been the khatib of Hansi, owning villages and extensive property. Discipleship with Baba Farid meant abandoning material prosperity. When his poverty became overwhelming, Shaikh Jamalu’d-Din, using Shaikh Nizamuddin Auliya of Delhi as a go-between, informed Baba Sahib of his extreme impecuniosity. Through the Shaikh the Baba replied that it was Shaikh Jamalu’d-Din duty to bear the spiritual burden assigned to him. It is said that once Shiekh Baha-ud-din Zakariya of Multan came to Baba Farid and stayed with him for some time. On his return, he wrote to Baba Sahib “Give me your disciple Jamal and have all mine and courtesy demands that request be no turned down.” Baba Farid is reported to have replied: “Exchange is permissible in goods material. 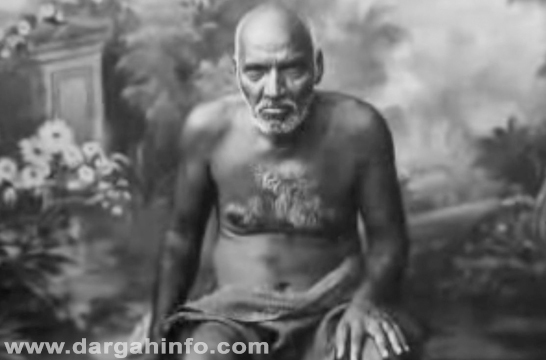 But Jamal (which means beauty) is not exchangeable.” Baba Farid liked Sheikh Jamaluddin so much that he went to Hansi to stay with Sheikh Jamaluddin for 12 years. He nominated the latter as his Khalifa. He trusted him so much that whenever Baba Farid would give the letter of Khilafat to anyone, he would direct him have it-countersigned by Shaikh jamal-ud-Din of Hansi. Hadrat Jamal-ud-Din died during Baba Fariduddin’s lifetime.He died at Hansi (Haryana-India) on 12th of Shaban 659 A.H. at the age of 76 years. He was buried in a mausoleum at Hansi. In the wake of partition of the Punjab in August 1947, Hansi witnessed a great massacre. With the exodus of the entire Muslim population from Hansi, the Mazar remained neglected for sometime. It was in 1961 that Shah Waliur Rehman Jamal (d. 1961) restarted observance of Hadrat Qutb Jamal’s urs at the Dargah Sharif in Hansi, which is continuing. Thousands of devotees from all over the subcontinent gather together annually to pay their devout homage there. Sheikh Jamal-ud-Din Ahmad left behind Mulhimat in Arabic – a prose work consisting of Sufi aphorisms and his Diwan of poetry in two volumes. His other two works namely Pandnama Farsi and Umdatur-Waizeen are not available. 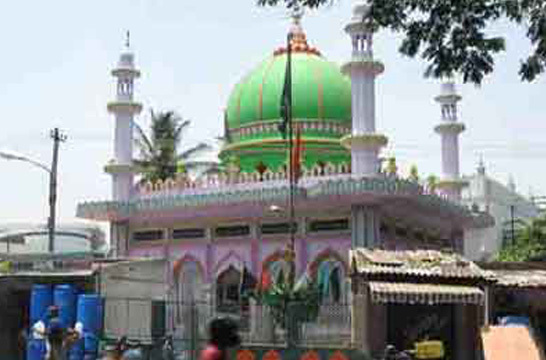 A group of monuments, situated to the west of the town are known as Durgah Char-Qutab. Jamal-ud-Din Hanswi (1187-1261 AD), Burhan-ud Din (1261-1303 AD), Qutab-ud-Din Munawwar (1300-1354 AD) and Nur-ud-Din or Nur-e-Jahan (1325-1397 AD) were the celebrated Sufi Saints of their times and designated as 'Qutabs'. This monument celebrates the last resting place of these four saints.